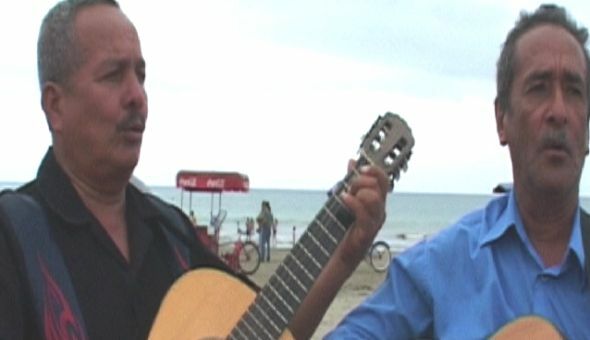 Duo Latino live on the Pacific coast of Ecuador in the town of Manta. They play folklorico music about life in an Ecuadorian fishing town. The group features Marino Palacios on Requinto (5 string guitar) and Modesto Cedeño on Spanish six string guitar.